Some MOOsters want a hundred images on a hundred cards – and some prefer to spell it out! If you’re a wordsmith, journalist, blogger or any other kind of writer, you’ll love our Textomatic technology, which allows you to say exactly what’s on your mind. But why stop there? 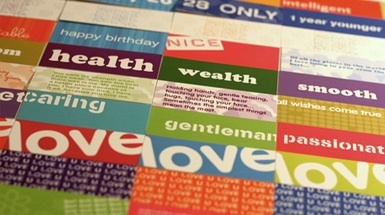 You can mould your words visually with Word Clouds, use famous quotes to make your point, or even use our Ready Made Cards to show the world you’ve got something to say. Hotly tipped for the top with a string of 5 star reviews to her name, comedian, writer and presenter Bec Hill knows a thing or two about using the right words! 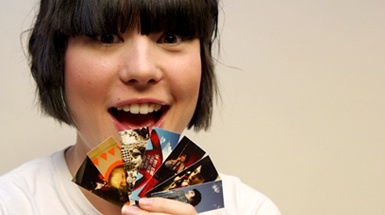 She talks to MOO about how to self-promote at festivals with the right kind of MiniCards, and the truth behind the glamorous life of professional performers. 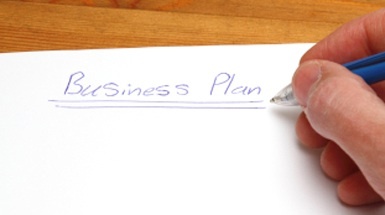 If ever there’s a time to get creative with the written word, it’s in your first business plan! Not too wordy though – stay clear, concise and to the point while describing exactly what makes your idea different from the rest. Not sure where to begin? Check out our easy guide! And remember – we’re all about new businesses this year, so keep checking back for more Expert Tips from fellow MOOSters. To make sure that the newsletter always reaches your inbox, please add newsletter@moo.com to your contacts. We hope you received this newsletter because you signed up for it on MOO.COM. If you didn’t sign up or you need to unsubscribe, you can unsubscribe here. We’re sorry to see you go, though. Did you know you can now upload full colour PDF’s to both sides of your Postcards? Which means that you’ll be able to make them even more creative. Flyers, vouchers, invites – the sky’s the limit! The Wedding and Portrait Photographers International Convention brings together thousands of professionals together. Stop by the MOO booth to chat with members of the MOO Crew – we may even have a show special or two. We’d love to see you there!